his cool and collectible Fender Lunchbox is a great way to keep your small guitar accessories within reach while also showing off some authentic retro Fender vibe. The outside of the lunchbox is covered with artwork from the “You won’t part with yours either” ad campaign—featuring an embossed design of the iconic surfer playing a Jaguar® while riding a wave—and the inside is packed with all the necessities. 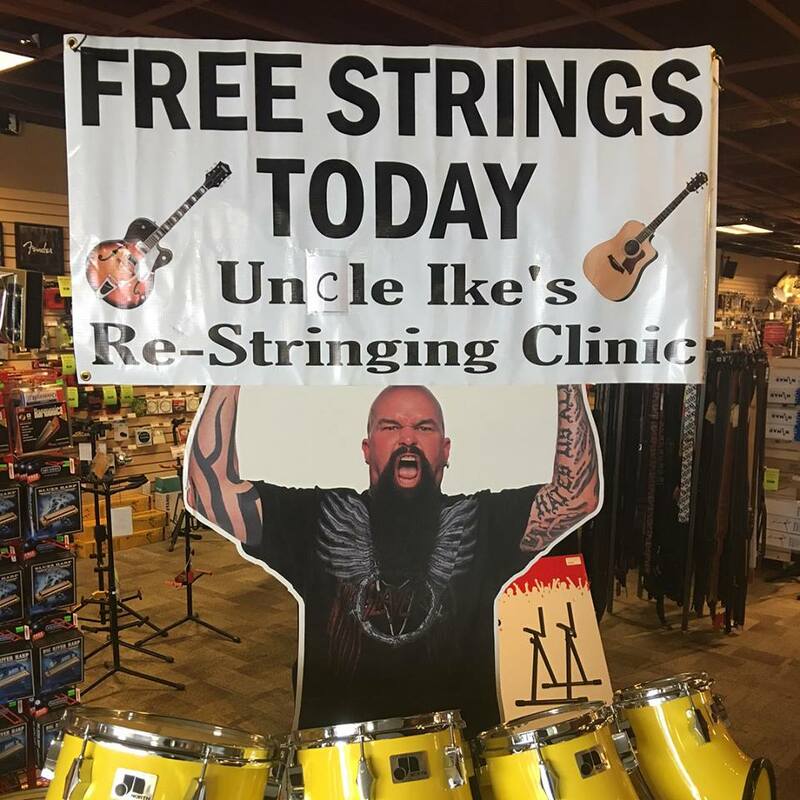 You get a set of 250L Nickel Plated Steel electric guitar strings, a string winder, 12 medium shell picks and an FT-1 Pro clip-on guitar tuner. 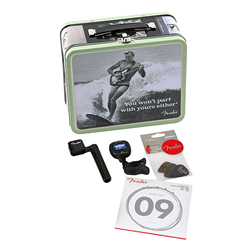 This essential kit makes a great gift for any guitar player or diehard Fender fan.